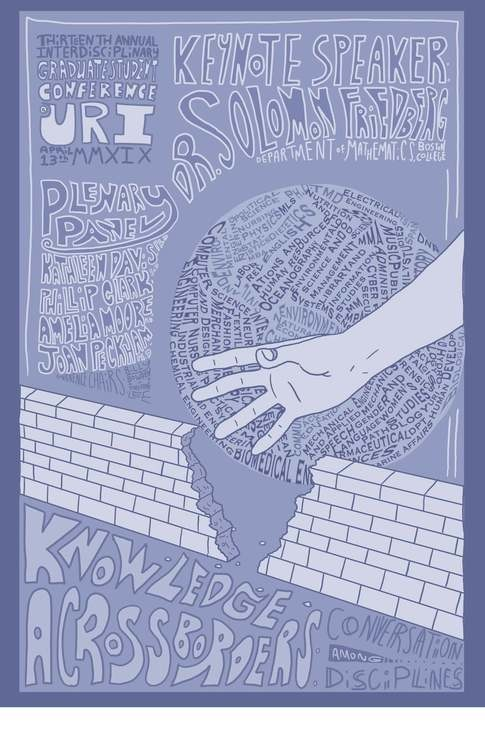 I recently did an email interview with URI PhD student and co-organizer of the 13th annual Graduate Student Conference at the University of Rhode Island, William Bowden. This year’s conference will be held on Saturday, April 13th, 2019. Each year I attend the annual conference for the Society for Comparative Literature and the Arts. It is a medium-sized, incredibly supportive and welcoming event. Their support for graduate students, non-tenured and adjunct faculty, and independent scholars shows a deep commitment to both the humanities in general and an acknowledgment of the disparities and challenges that face the discipline. Thus, it was not surprising to see on this year’s conference schedule showed a special roundtable, “Making Our Departments and Disciplines Less Oppressive.” The roundtable was intended to address the ways in which the current climate in the U.S. was affecting not only departments, but students at various institutions, and to hopefully offer some ideas and suggestions on how we might better support colleagues and students at our own institutions.